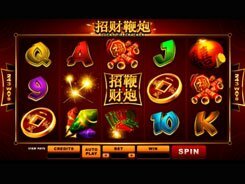 Take a plunge into a wonderful atmosphere of Chinese New Year celebrations delivered to you by Microgaming. 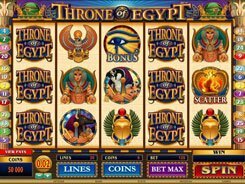 Once again the developer has employed a whopping 243 ways to win structure, meaning you get wins more frequently than playing payline-based slots. The set of symbols includes standard playing card icons from Nine through Ace supplemented by themed images like firecrackers of all shapes and sizes, sky lanterns and other related symbols. A bet is customized in a wide range allowing you to select a coin value ($0.01–$1) and the number of coins (up to 10). 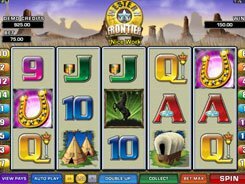 Overall, a bet varies from $0.25 to $250 per spin, to suit low rollers and gamblers who like hefty betting limits. 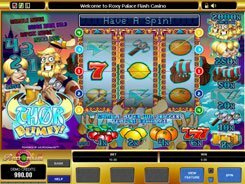 The biggest payer in the slot is the scatter. 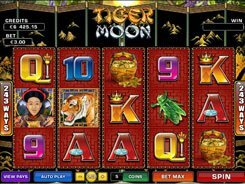 Get five of them anywhere in view, and be awarded a win of your total bet times a x2500 multiplier. So betting max coins, your win can reach an unbelievable $625,000. A wild symbol is depicted by hieroglyphics. It appears on reels 2 and 4 only, and can substitute for other non-feature symbols. 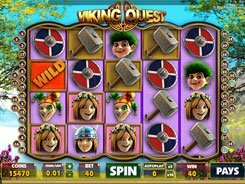 Ultimately, you can benefit from 15 free spins at a x3 multiplier, with a maximum potential win of up to 90,000 coins.